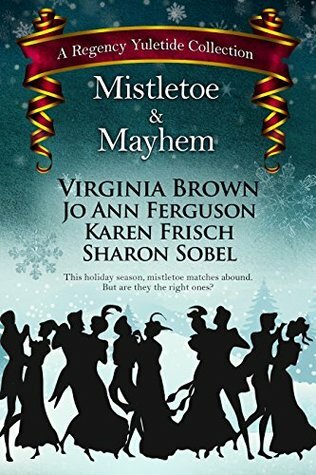 Overall, Mistletoe and Mayhem was an enjoyable, quick read. All of the stories had something different to offer; although, by far, my favourite was Merrily Mismatched. I loved the characters and story idea in this one. I was a little put off Miss Montague's Mistletoe Match due to one scene in which the characters acted in a way that I did not feel was appropriate for the period. I don't want to spoil anything for readers by saying what happened, but I simply didn't believe someone in Miss Montague's position would do what she did. Otherwise, though, this is a pleasant read for fans of historical romances, and the stories are of a perfect size to read one per evening.